ROBOTILL allows you to accept multiple payments per sale. As soon as the required amount was reached, the payment screen will close. For most payments it will only be needed to enter the amount and press enter or simply just press enter as the default amount is the amount of the sale. To link directly to a card payment machine, see Payment Card Reader. If you will not be linking directly to the card payment machine, you can let the cashier manually process card payments. The cashier will be prompted to select the type of card used and enter the details of the card payment. You can configure the available cards and also choose to disable the card selection screen to speed up the payment process. To do this go to Manager > Setup > System Configuration > Payment Options. With the account payments you can choose to use customers cards. In that case the customer card can be swiped/scanned instead of using the Customer Selection Screen. To use this option go to Manager > Setup > General Configuration. In Manager go to Setup > System Configuration > 'General Settings' and check 'Use Card Reader / Barcode Scanner for Customer Cards'. In Manager go to Setup > System Configuration > 'Payment Options' and change the fourth payment option. You can of course change it to anything you want like online payments, Bitcoin etc. 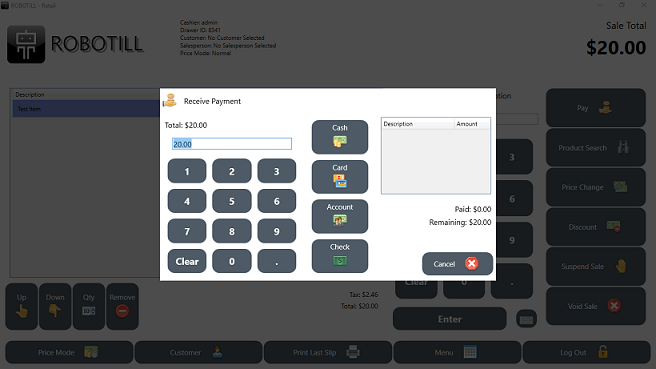 The new payment option will show in the payment screen. 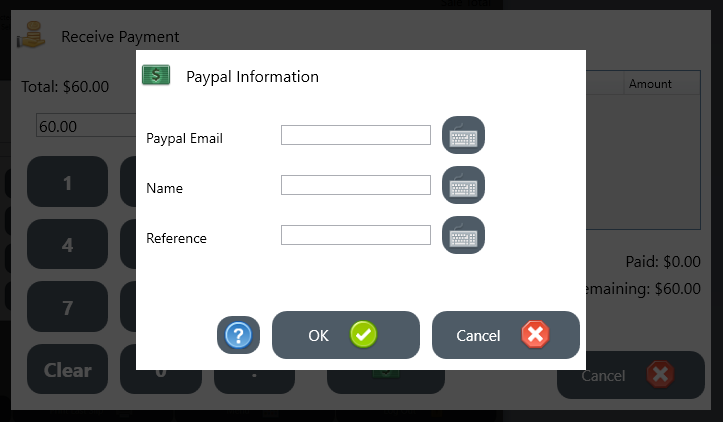 When the cashier select the 4th payment option (in this case 'Paypal'), the fields you selected for this payment option will be displayed.